I was asked to make some chocolate chip cookies and I figured I would just quickly pull up my blog and find one or two recipes, and to my surprise, I didn’t have a single plain chocolate chip cookie recipe posted! 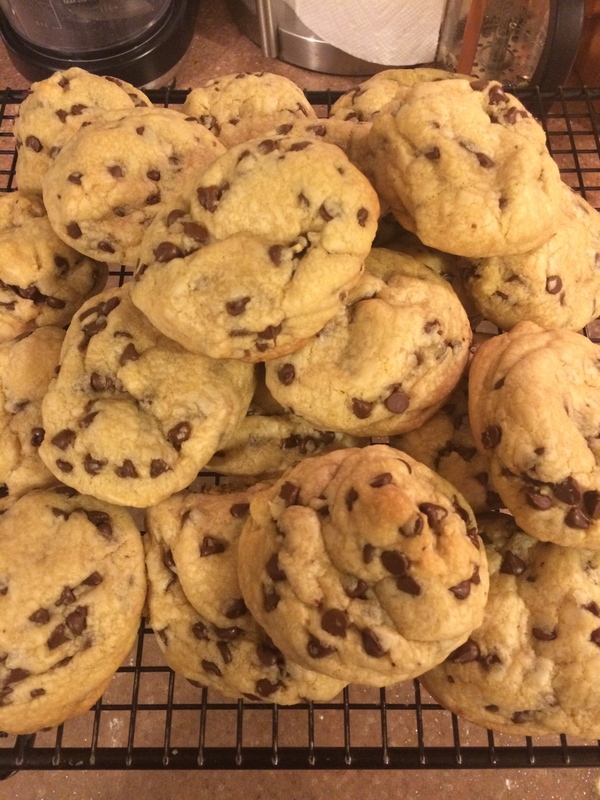 So I did some searching and found my new favorite chocolate chip cookie recipe! It’s not necessarily quick but they are well worth the effort. Enjoy! Toss together the flour, baking soda, cornstarch and salt in a large bowl. Set aside. In a medium size bowl, whisk the melted butter, brown sugar, and white sugar together until no brown sugar lumps remain. Whisk in the egg, then the egg yolk. Finally, whisk in the vanilla. Pour the wet ingredients into the dry ingredients and mix together with a large spoon or rubber spatula. The dough will be very soft, yet thick. Fold in the chocolate chips. They may not stick to the dough because of the melted butter, but do your best to have them evenly dispersed among the dough. Cover the dough and chill in the refrigerator for 2 hours, or up to 3 days. Chilling is mandatory. Preheat the oven to 325F degrees. 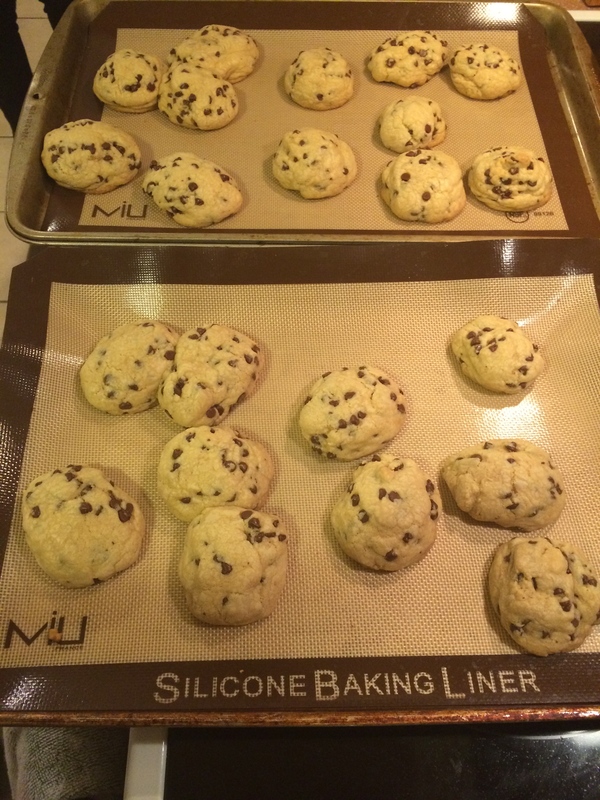 Line two large baking sheets with parchment paper or silicone baking mats. Set aside. Roll the dough into balls, about 3 Tablespoons of dough each. The dough will be crumbly, but the warmth of your hands will allow the balls to stay intact. Roll the cookie dough balls to be taller rather than wide, to ensure the cookies will bake up to be thick. Put 8 balls of dough onto each cookie sheet. Press a few more chocolate chips/chunks on top of the dough balls for looks, if desired. Bake the cookies for 11-12 minutes. The cookies will look very soft and underbaked. They will continue to bake on the cookie sheet.